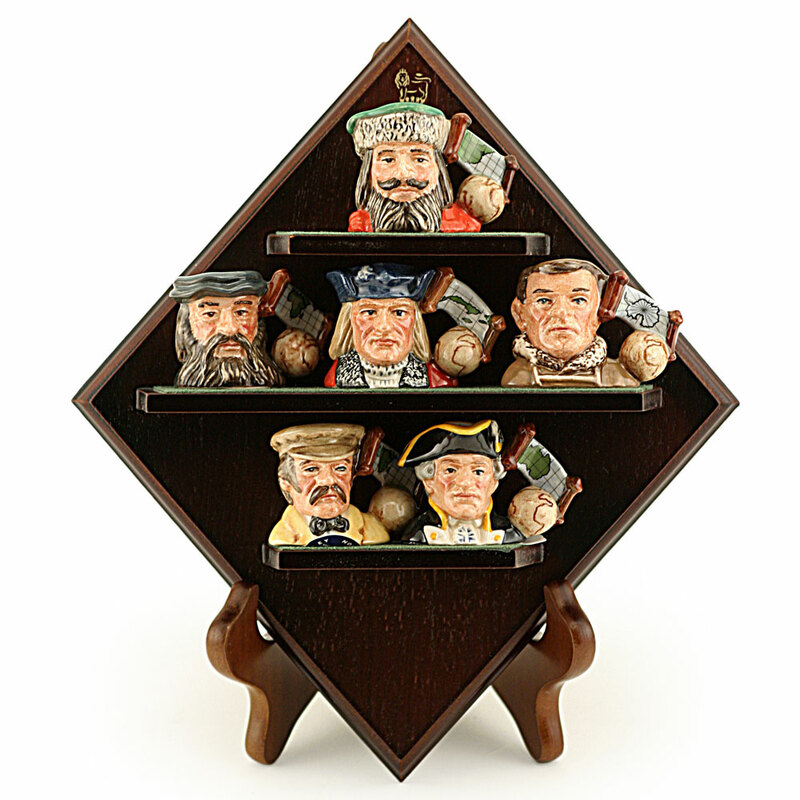 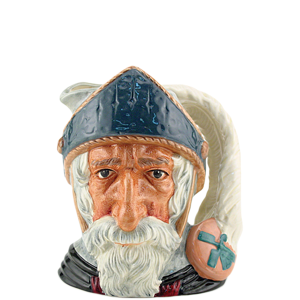 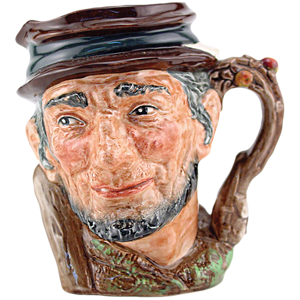 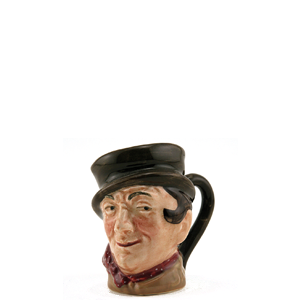 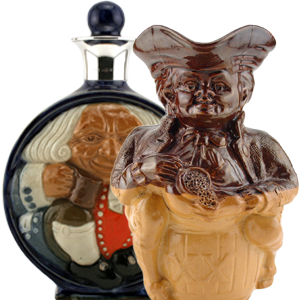 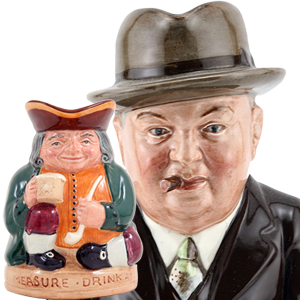 A unique Doulton introduction in 1934 was the Character Jug, the early examples were designed by Noke himself. 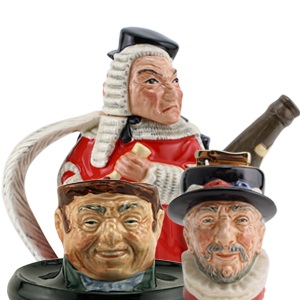 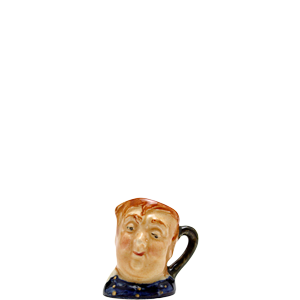 The 1920’s had already seen Doulton’s new take on the traditional toby jug, but it was these new Character Jugs that really caught the public’s imagination. 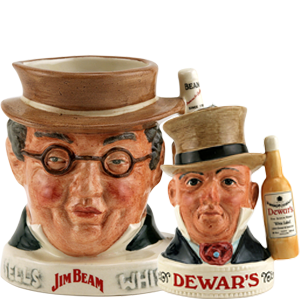 In 1934 the first jugs, John Barleycorn and Old Charley, were introduced and were swiftly followed by many other familiar faces. 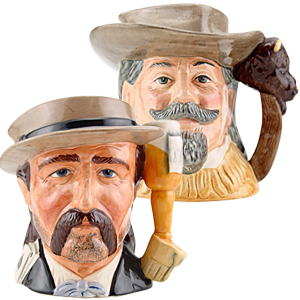 The range was quickly expanded to include small size jugs in 1935, and then a short lived medium size in 1938. 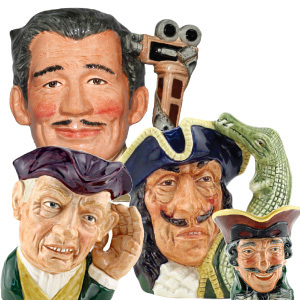 The late 1930’s also saw the introduction of the first Character Jug derivatives including tobacco jars, musical jugs and even tea pots featuring the most popular characters. 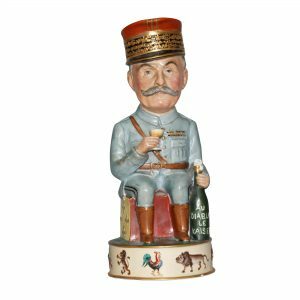 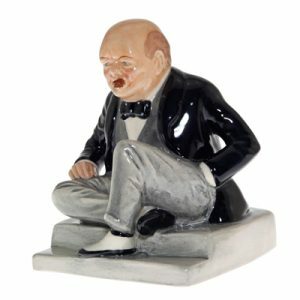 The beginning of WWII brought the inevitable slowing down of production of new jugs, although prototypes were being made such as the rare wartime commemorative white Winston Churchill Character Jug of 1941.